Wispee Adjustable Headbands in 5 color options - 2 per pack! - Headbands: Printed Spandex, Sequin, Etc. Wispee Adjustable Headbands in 5 color options - 2 per pack! 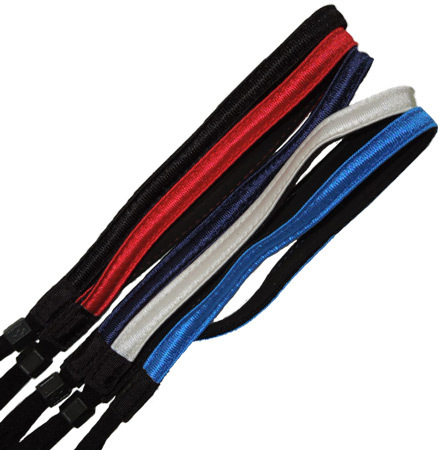 These adjustable & durable elastic Headbands (or Hair Bands) have a dazzle type fabric on the outside and a very grippy non-slip foam like material on the inside - so they'll stay in place while you sweat. Wispee brand head bands are also machine washable. Two Headbands Per Pack! . . . One Size Fits Most. Headband Colors: Black, Red, Navy Blue, White, and Royal Blue.